The Department of Pedodontics & Preventive Dentistry was established in 2006. 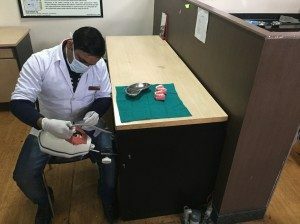 It is approved by the Ministry of Health and Family Welfare, Government of India/ Dental council of India. It is presently affiliated to Pt. B D. Sharma University of health sciences, Rohtak, Haryana and is a part of recognized dental college. The college is NAAC ‘A’ accredited. 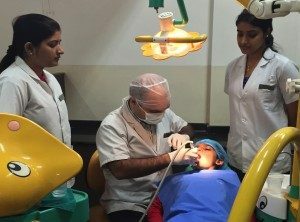 The Department of Pedodontics & Preventive Dentistry at Manav Rachna Dental College has a long record of working with the community and public schools to provide oral health education and treatment to children; which include outreach programs that provide screening of 5,000 children annually including physically and emotionally challenged children. The Department focuses on pediatric/ adolescent growth and development, disease prevention, child psychology and management of all aspects of highly specialized pediatric restorative techniques and modalities. 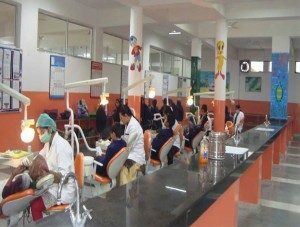 Our aim is to impart quality education to students as well as quality dental care to all children at the same time. These are achieved at clinical level, academic level in the department and the field level through various rural and school health programs. 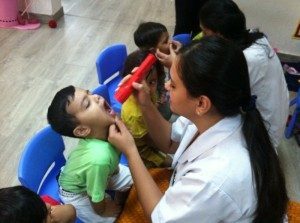 We routinely hold Rural Dental Health Camps and School Children Dental Health Camp. The team is devoted to provide the premier quality of dental treatment to infants, children, adolescents and specially challenged children. We here work towards making the dental treatment enjoyable, safe and comfortable. Every child has a fundamental right of comprehensive preventive and therapeutic oral health care from birth through adolescence including patient with special health care needs.